A Man From A Hot Country, an exhibition by Angela Xie and Jing Ma. Tuesday to Friday 10 to 6. Saturday 4 to 11pm. Sundays 12 to 7pm. Save Event: A Man From A Hot Country, an exhibition by Angela Xie and Jing Ma. Share A Man From A Hot Country, an exhibition by Angela Xie and Jing Ma. Domestic settings of a foreigner who recently moved to London to follow his passion in painting. Failing to make money from his art, he started to sell fake luxury goods imported from overseas mass production. Angela Xie's work focuses on atmosphere and the message it communicates to the audience. Her inspirations come from the phenomena and settings of everyday life. 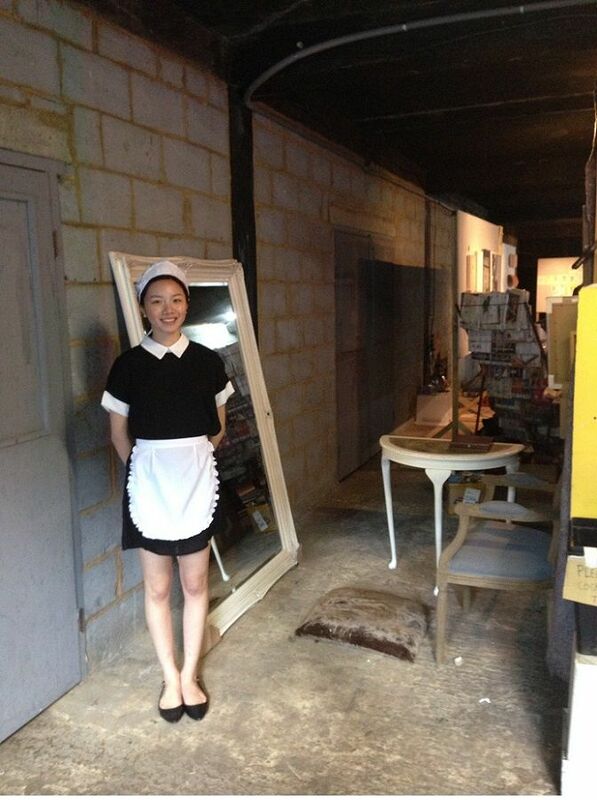 Her previous performance and installation 'a habit' included her depiction of a crying girl in the confined space of a 3 meters long lavatory, and traditional maid in the 'superior corner' serving guests with assorted fancy refreshments. Interested in topics such as material culture, space and atmosphere, behaviour and performance, Angela is currently studying at Camberwell College of Art. Jing Ma paints in bright colours and creates dramatic imaginary landscapes in various scales. The choice of colour and subject matter were made subconsciously: plants and flowers. Her intention in painting is simply to create. The sensitivity, stillness, quietness and femininity shown in Jing's work suggest the interaction between the artist herself and the painting; her emotions and her own life experience. She 'borrowed' natural form as a vehicle so that she may deliver her mind to the paintings. Jing is in her third year at Slade school of Art, and continues in developing her style in painting.